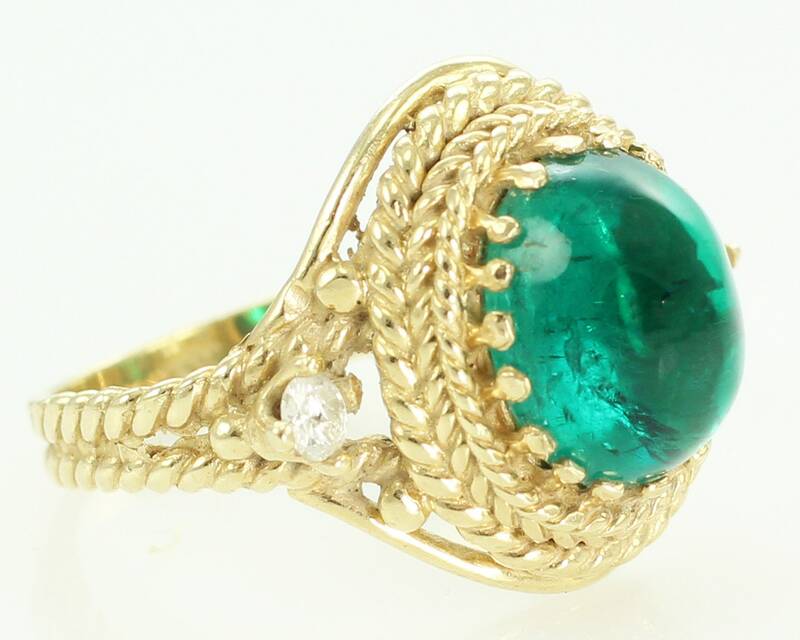 Vintage 14K Yellow Lab Created Linde Emerald Cabochon YAG Rope Twist Ring. 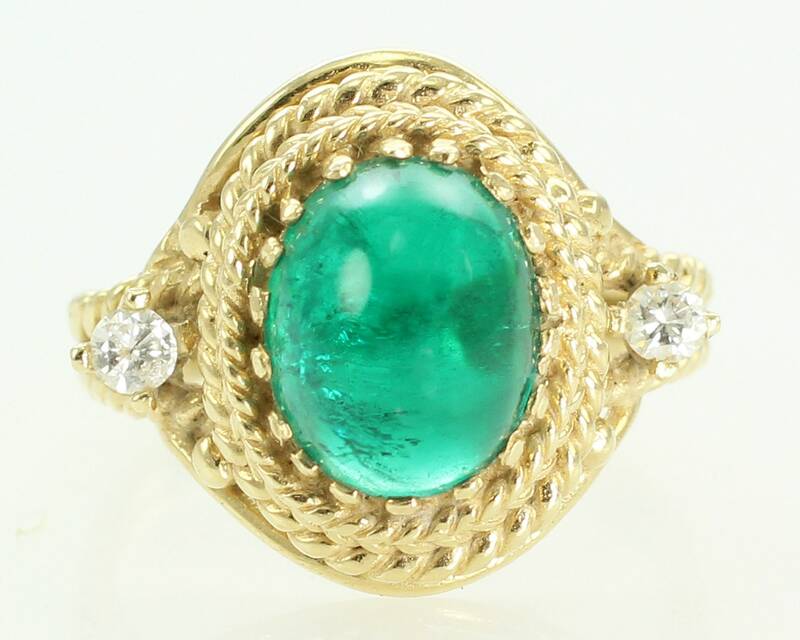 Made about 1965, this ring features a center oval cabochon of hydrothermal synthetic bluish green emerald made by Linde, and two accent stones of yttrium aluminum garnet, a diamond simulant made by the same firm. 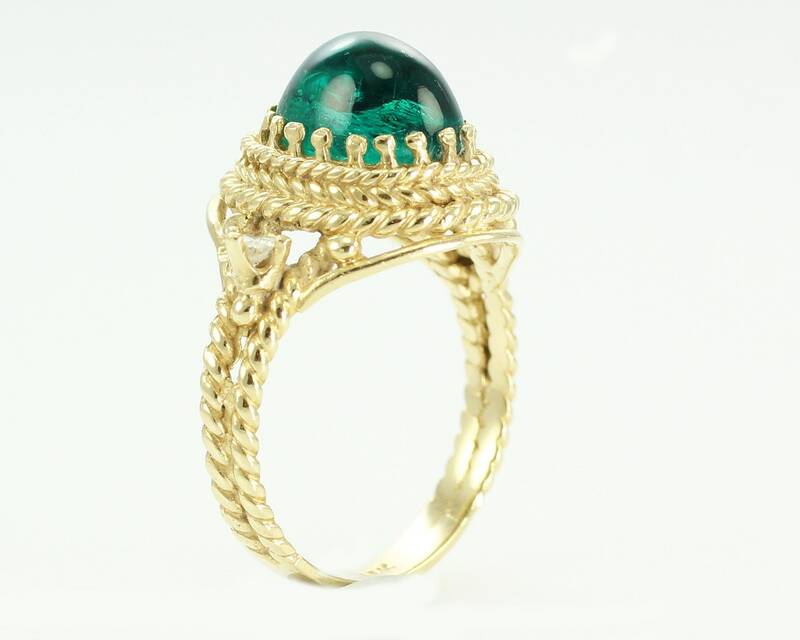 The ring has a gorgeous rope bezel surrounding the prong set center stone and a double rope twist shank. 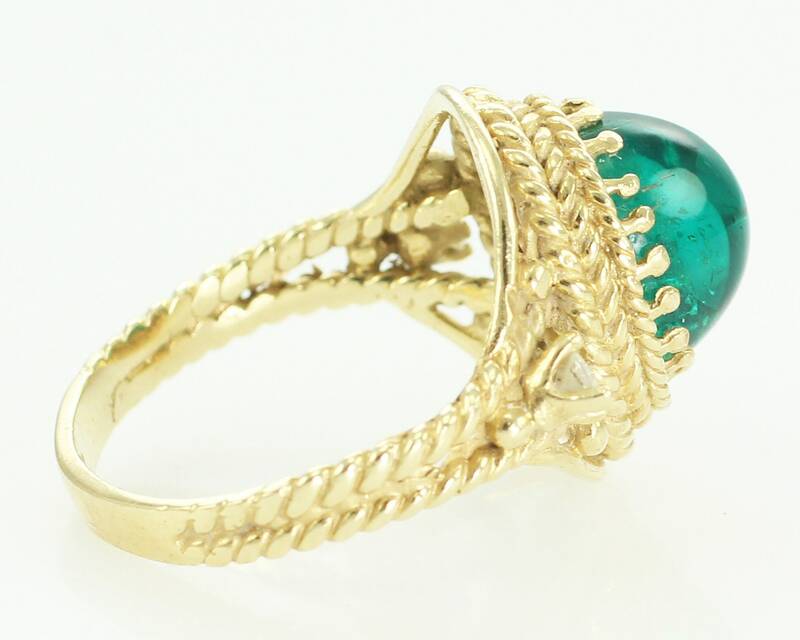 The ring measures 16.4 mm wide at the head, which stands 9.3 mm high. Shank tapers to 2.65 mm at the reverse. 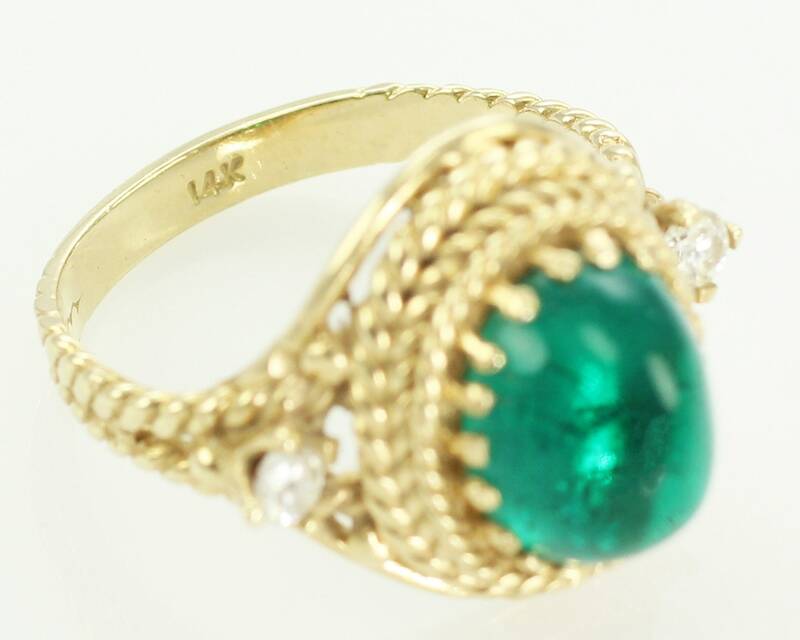 The ring is a size 7 and is stamped 14K on the inside of the shank. In very good vintage condition, with very minor surface scratches no damage of any sort noted. CONDITION: In very good vintage condition, with very minor surface scratches no damage of any sort noted. 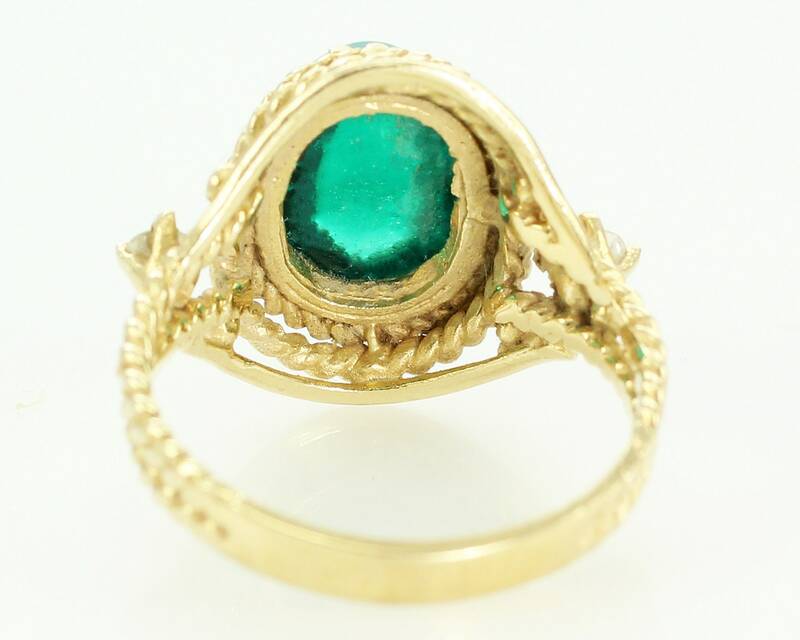 MEASUREMENTS: The ring is 16.4 mm wide at the head and is 9.3 mm high.